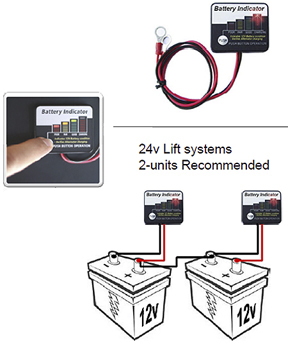 The powerful 40w-24v Boat Lift Charging Kit provides extra power and is the most robust solution for charging 24v DC boat lift systems using two 12v batteries in 24 volt configuration. The power generated from DUAL 20w-24v panels ensures better performance even on cloudy days (when the solar panel will provide little, if any, power to the batteries). 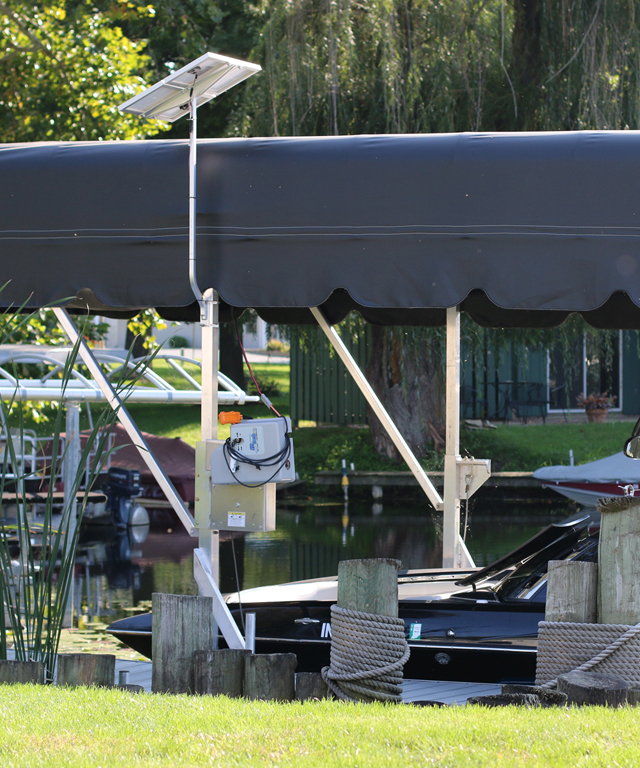 It is recommended for both higher boat lift capacities (10,000 pounds) or lower capacity systems that are frequently used. 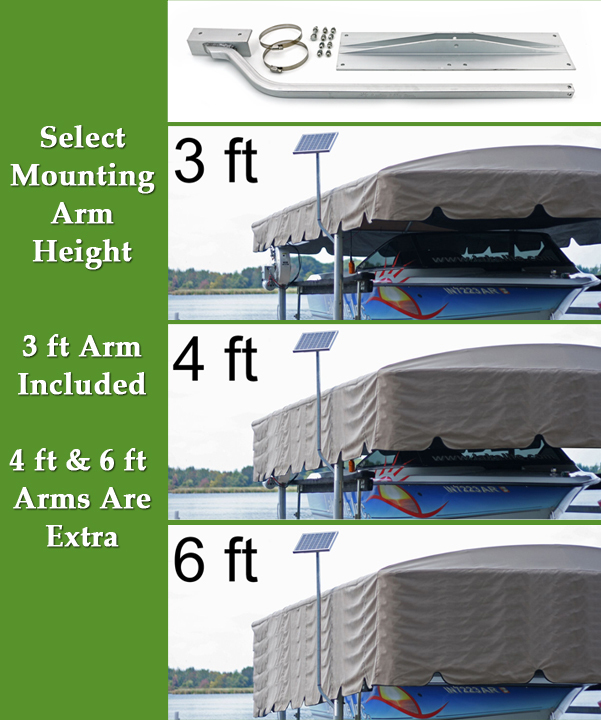 The 40w-24v Boat Lift Charging Kit is powerful and energy efficient. 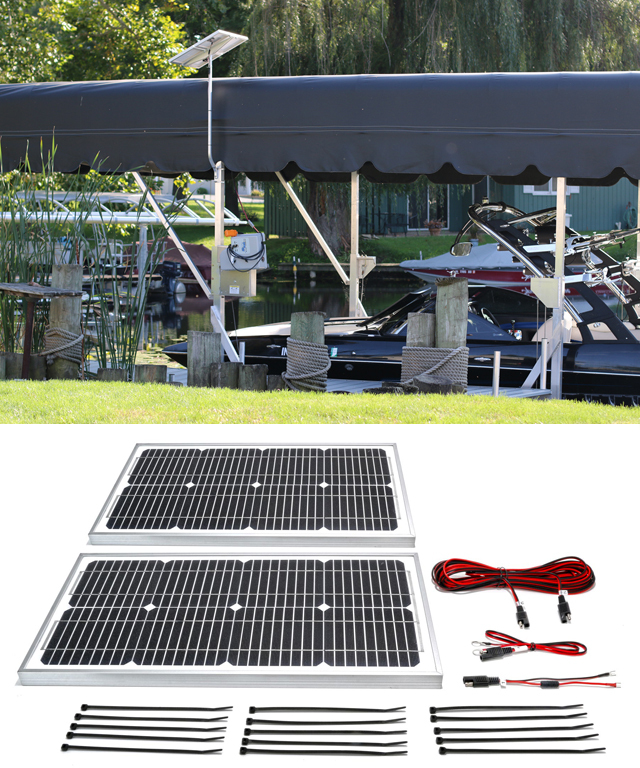 The high quality solar panels of the Charging Kit will keep your boat lift battery in top condition so the DC lift motor has the power to raise and lower your boat as often as you need. 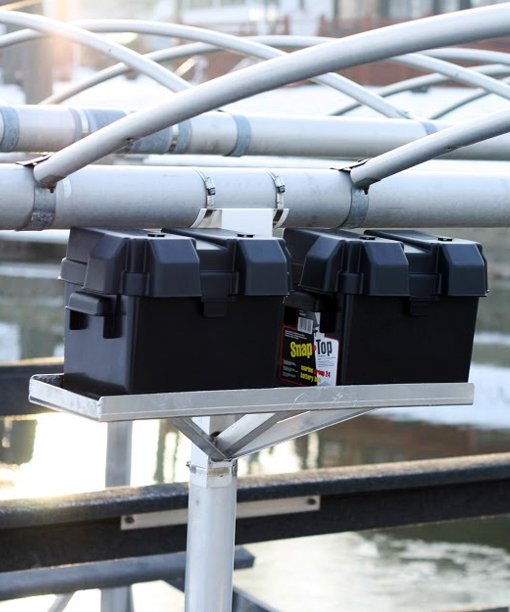 Ideal for the daily and heavy user with light to heavy weight boats, the 40w-24v Boat Lift Charging Kit will let your boat lift raise and lower your boat when you need it most without worrying about the batteries running out of power and requiring a long recharge period. 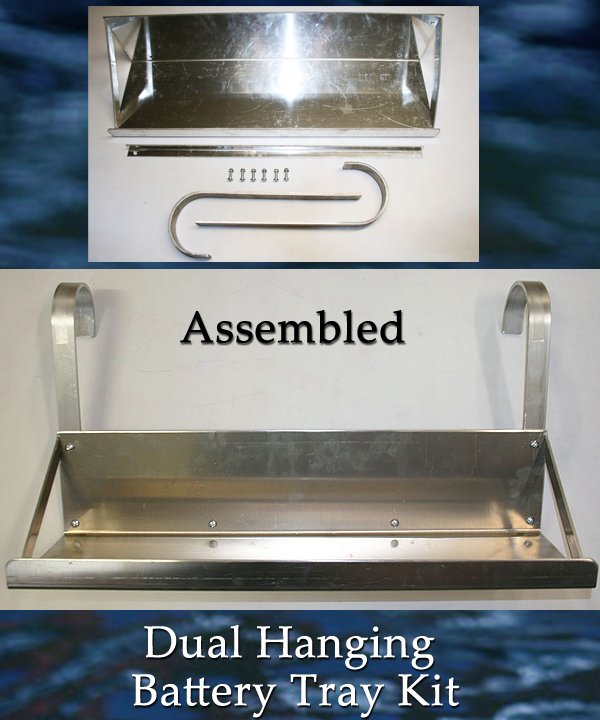 The 40 watt / 24 Volt Solar Marine Charger Kit comes with a free Solar Charge Regularo with LED status regulators. The Solar Controller/Regulator prevents damage to batteries by preventing too much solar energy from reaching the battery, which can happen if the batteries are not used for an extended period of time. 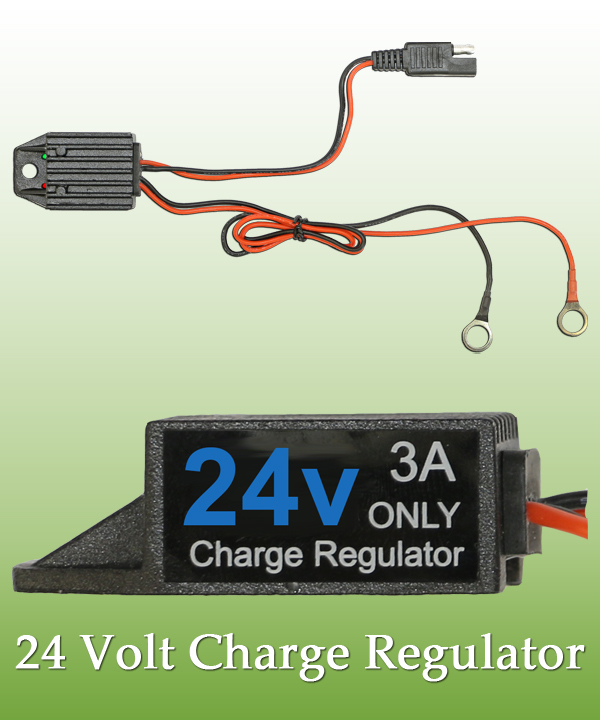 The Charge Regulator also lets you see the charge and the speed at which the battery is charging so that you know when the battery is charged enough for its intended purpose, eliminating surprises when the batteries do not have enough energy, such as after extended periods of clouds. 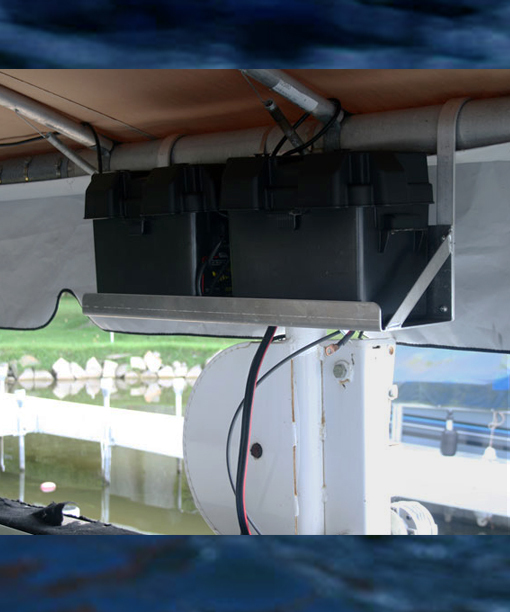 The combination of the powerful 40 watt solar panel and the smart charge controller/regulator makes sure your ready to hit the water without worrying about weak or dead batteries. The smart controller has an advanced microprocessor that can boost charging performance by up to 50 percent.